Chelsea has announced a record breaking 15-year kit deal with Nike making it one of the most lucrative in world football. The deal comes into play from 2017-18 season and will run through 2031-32 where Chelsea will be getting a whooping £60 million a year and total of £900 million over next 15 years. As we reported earlier May 2016 that Chelsea has terminated their contract with Adidas and looking for new kit suppliers deal. 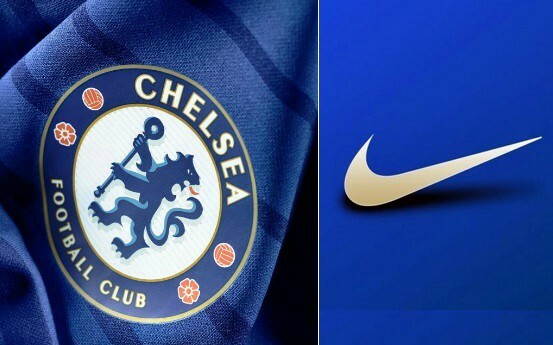 So today finally both Nike and Chelsea has officially revealed the new record breaking deal making it second most lucrative in premier league behind only Manchester United’s adidas £75m a year deal. As the reports suggest in british media, Nike and Chelsea has agreed a 15 year deal where Chelsea will be getting £45 million a year guaranteed plus another £15 million a year if all the performance related clauses are meet. One of the clause states that Chelsea will have to qualify for Champions League every year. Failure to do so in two consecutive seasons will affect the yearly payment and Nike will only pay the basic fee (£45m) in the years Chelsea fail to qualify for Champions league. Chelsea’s new deal worth £60 million a year (if we include all potential bonuses) will become the second biggest kit deal only behind Manchester United’s Adidas deal which is worth over £750 million for next 10 years. Even United and Adidas has a clause where United’s failure to qualify for Champions league two years in a row will cut the yearly payment by 30% and we expect similar deal with Chelsea and Nike.